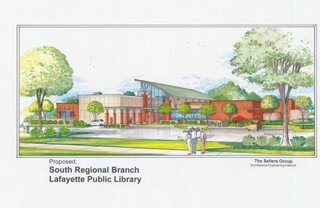 The public is invited to join with us in celebrating the groundbreaking for the new South Regional Library. The groundbreaking will be on Tuesday, February 6th at 9 a.m. Due to weather uncertainties, we will be holding the event at our Southside Branch Library - 5417 Johnston St in the Time Plaza Shopping Center. A reception will follow the ceremony. No registration required. Please contact us at 261-5781 for more information. We hope to see you there! Construction will begin in February 2007 and should be complete (weather permitting) in the 2nd half of 2008. More details later on the contents of the new facility which will sit on 6 acres of property at the intersection of Johnston St. and Duhon Rd Extension, adjacent to the Palms Subdivision. 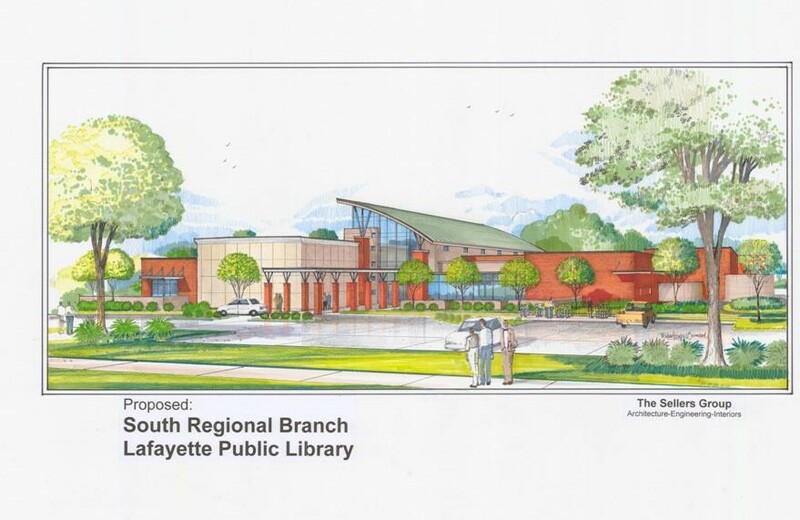 Bids were opened in December for the Construction of the South Regional Library. Two general contractors submitted bids. The low evaluated bid was within our budget. We are awaiting contract completion and expect to begin construction this Spring.